Looks nice. Hope it fits. I have a red white blue scheme love red in kitchen . Elasticized style not in way of lap. Like the print. we usually use a tavern check but this was the closest I could get. The print is cute but not too busy to clash with chair cushion design. to protect oak table and an easy clean up with my two yr old grandson. For my outdoor patio table. It will work perfectly! Walter Drake always has my table size whereas other catalogs do not. 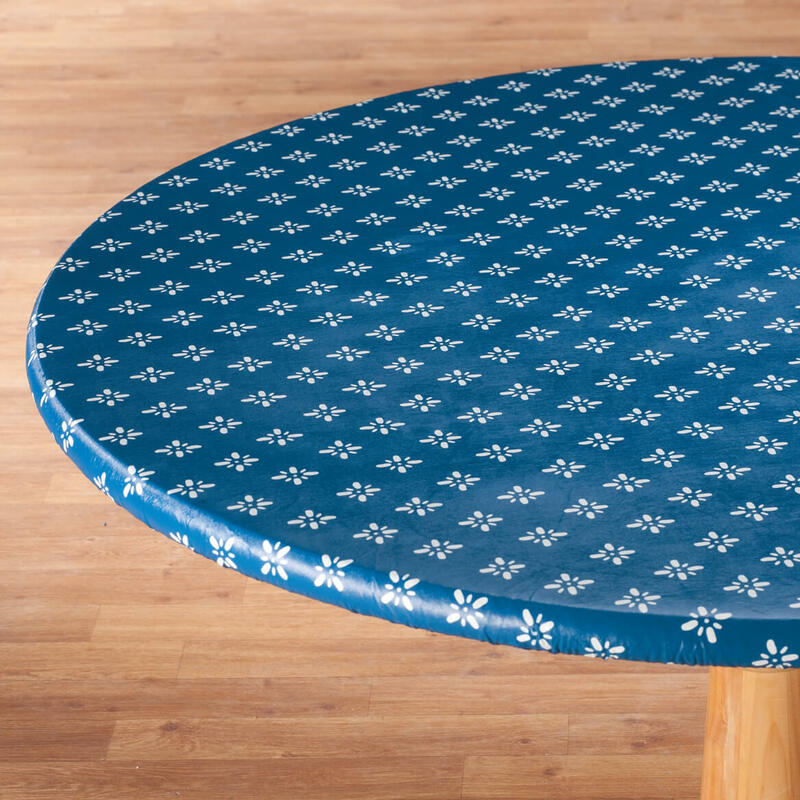 I need a covering for my kitchen table during holiday baking and cooking. These are impossible to find in stores and my wife wants one for Christmas! I just bought some new outdoor cushions and need a new red table cloth. Love these table covers and need another one. I have bought this product before. Great for outside picnics with our Grandson. Because my kitchen color is red! It will look good on my breakfast nook table where we play cards, etc. Ordered round - fit perfectly and they look fabulous. If you have young children, they are great. Items will not be pulled off the table. Have a few at home. 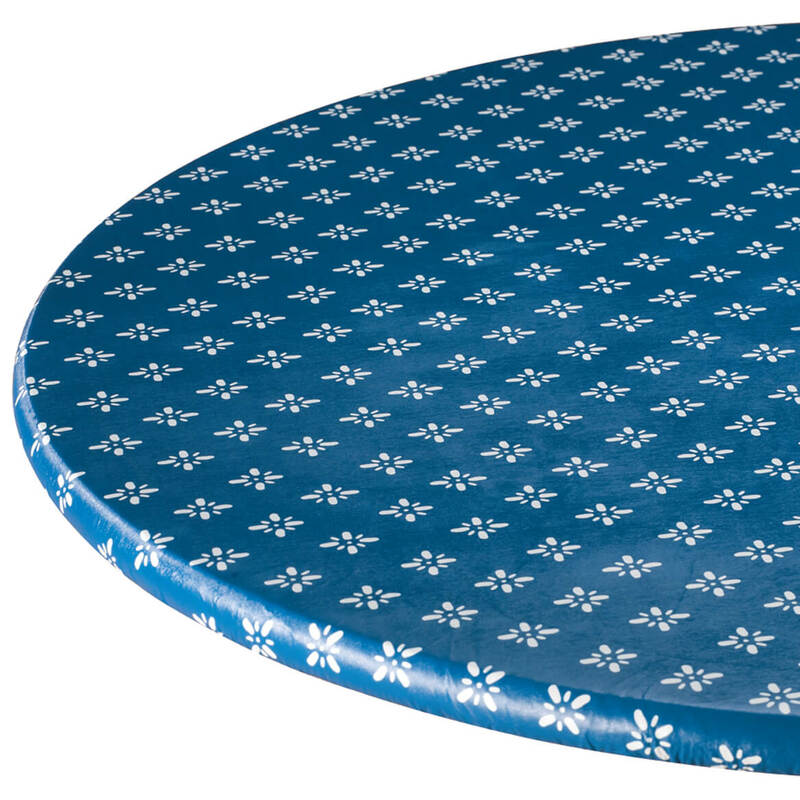 This is the only site I could find my size table and for a reasonable price. 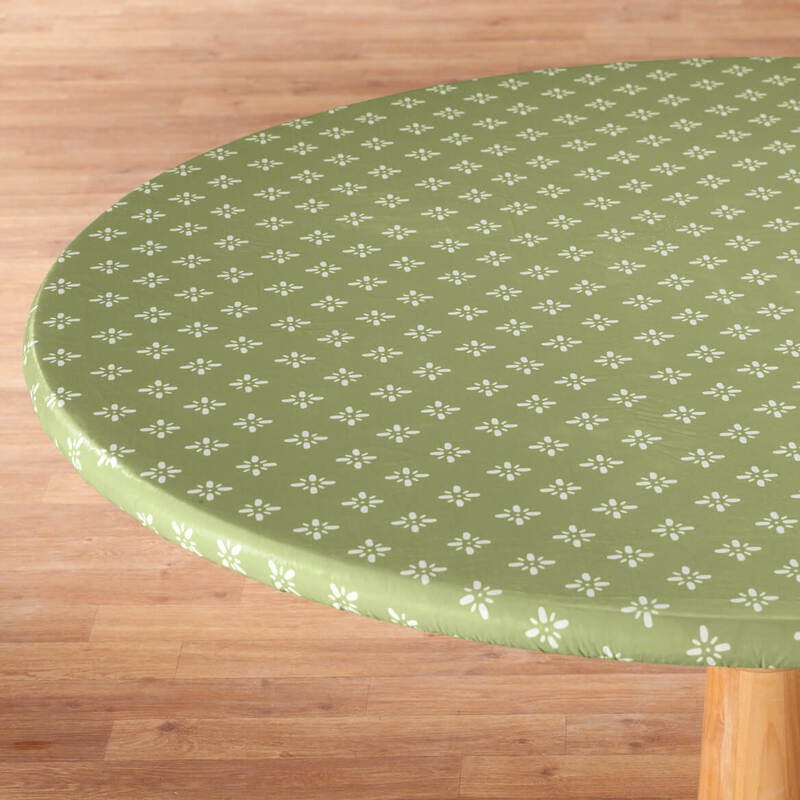 I use these tablecloths a lot on my old, battered dining table. 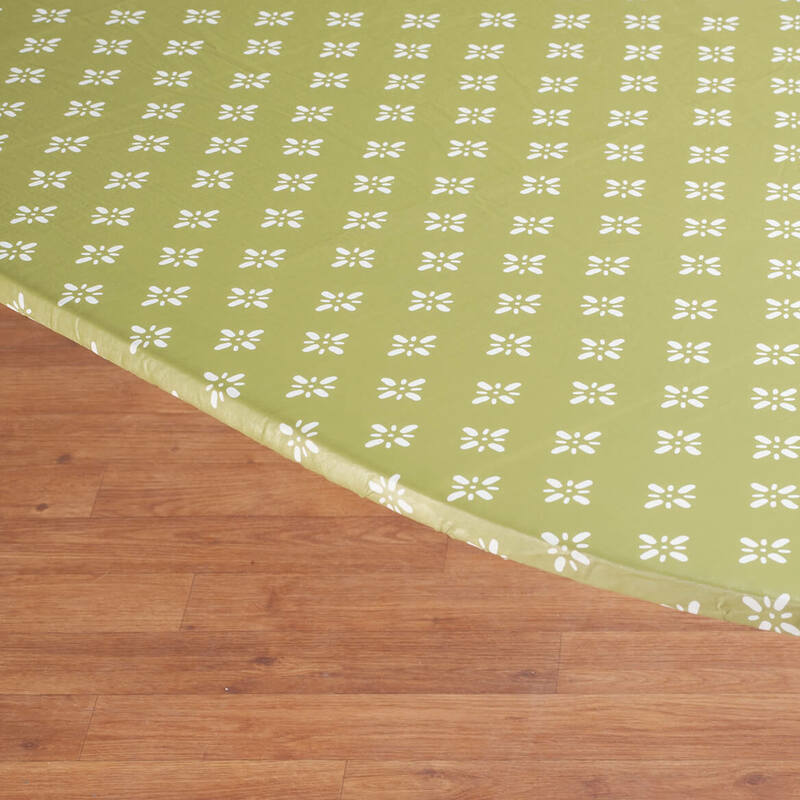 I ordered an elasticized tablecloth before and prefer this style over traditional styles. I have purchased these in the past and like the quality. They fit my round glass table perfectly. like the color which can also be used for holidays. Right size, right color. Have ordered before and was pleased with quality. I previously purchased this item and liked it so much that I purchased another. 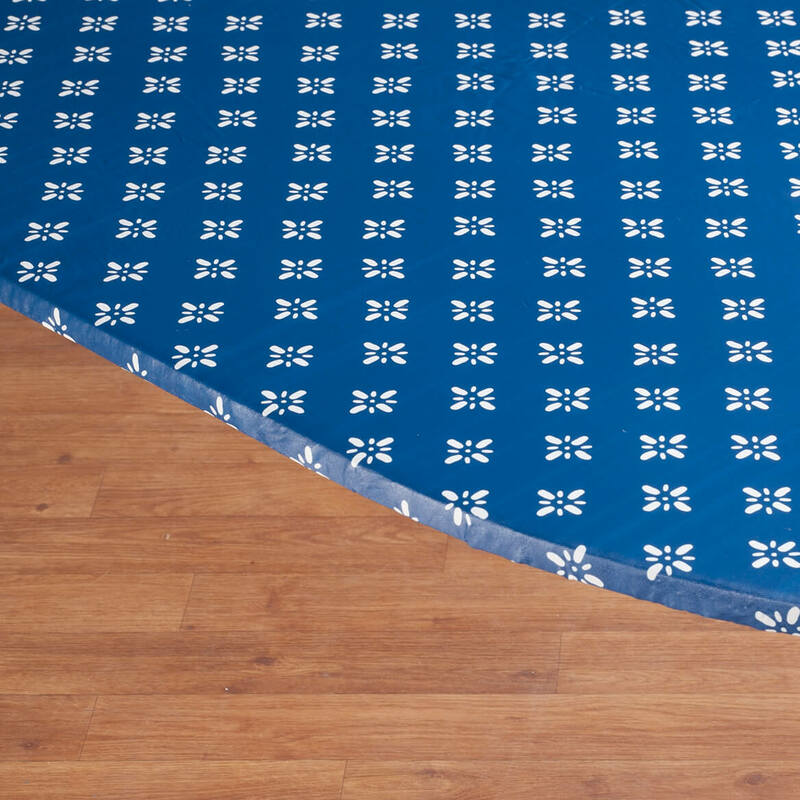 The elastic edge prevents the tablecloth from hanging unevenly from the table. Wrinkles from storage can be easily removed by placing in a warm dryer for about 30 seconds. It saves the top of my new table from children scratching it. will this work on a 48" octagon table? BEST ANSWER: Thank you for your question. 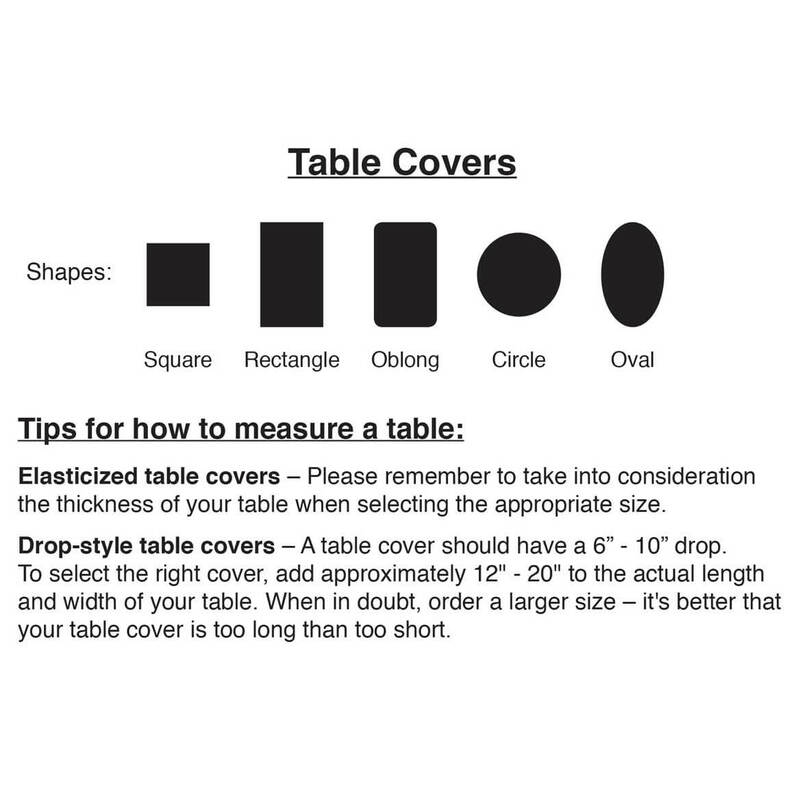 No this table cover will not fit that size table. We hope this information will be of help to you. It may. I used it on and oval table. 50" diameter round table, what size should I order? BEST ANSWER: Thank you for your question. You should get the 45" - 56" dia. Round. We hope this information will be of help to you. will a 56" round fit a 60" table ? BEST ANSWER: Thank you for your question. 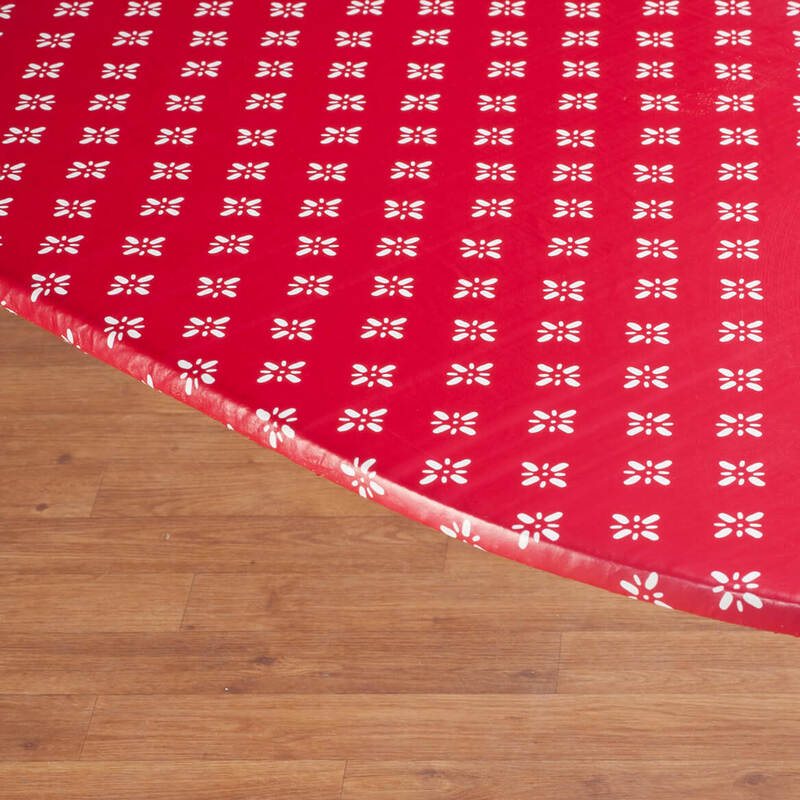 A 56" table cover will not be able to fit a 60" table. We hope this information will be of help to you. 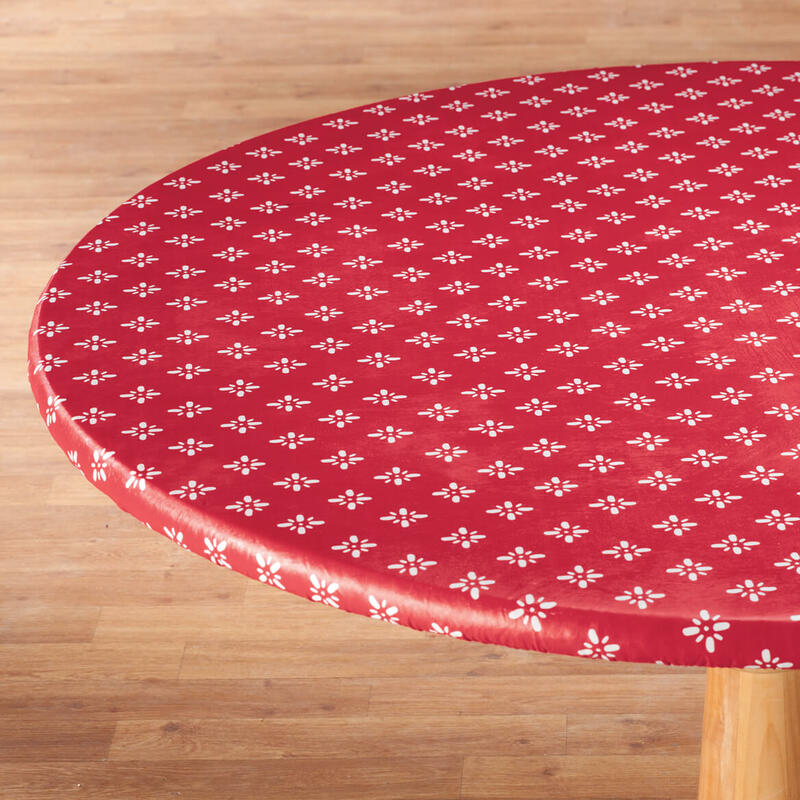 what should i get 37 by 47 o round table cloth?